Global Anti-Counterfeit Packaging Market Survey presented by marketresearch.biz integrates concise analysis and exhaustive presentation of logical data together. The industrial aspects are thoroughly characterized on both global and regional scales. 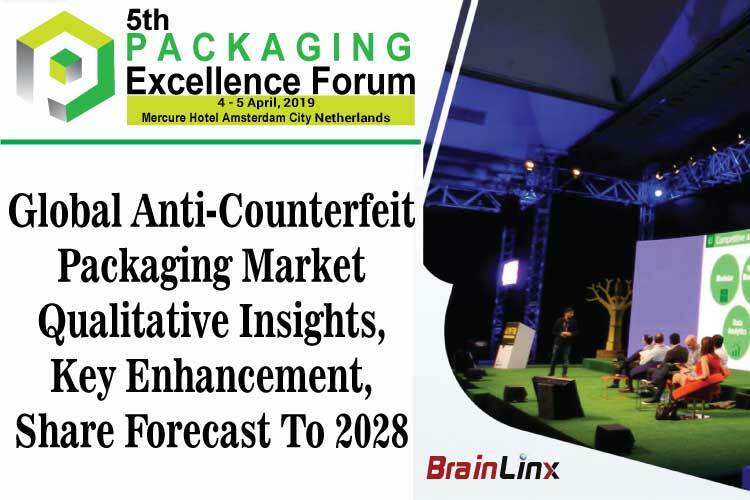 The Anti-Counterfeit Packaging market has surrounded a high-speed growth in previous years and now is potentially moving forward intense progress in the upcoming years from 2019 to 2028. 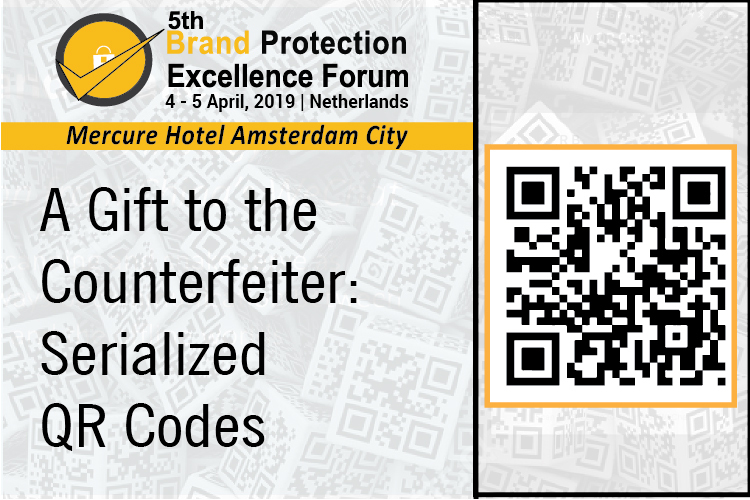 Counterfeiting of products is been gradually becoming a concerning factor among businesses worldwide, resulting in damages for the consumers and big economic losses. 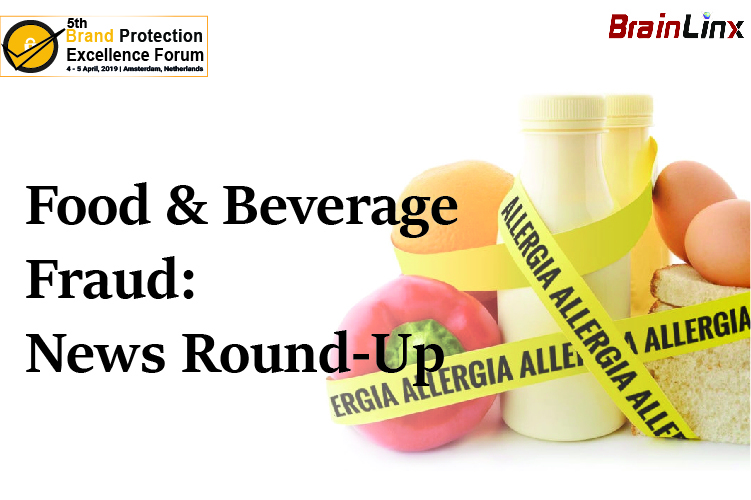 The impact of counterfeiting could be seen in diverse industries including food, pharma, technology, beauty, etc. 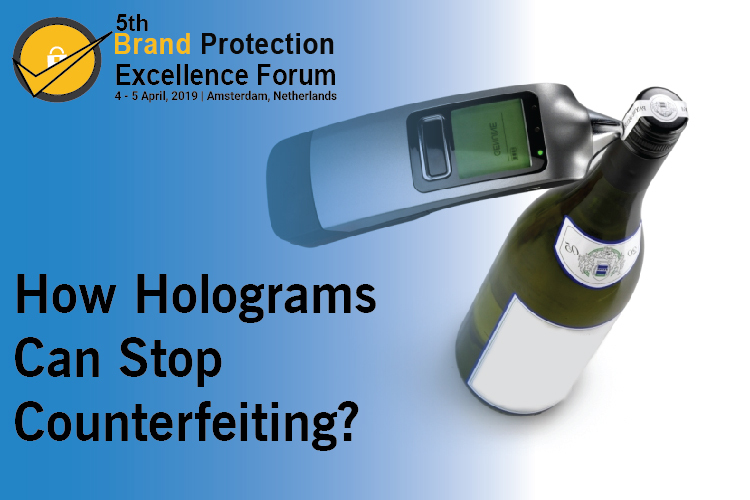 It led to efforts that need to be taken to prevent and stop counterfeiting and fortunately, there are ways to secure your brand and products with tamper evident seals and anti-counterfeiting techniques. Feel free to get to label.co.uk for more details. The New Year means a new "to do" list focused on enhancing customer loyalty and boosting profitability - and the questions of how to achieve these goals drive what goes on that list. What were last year's big strategic hits and misses? What new programs should be implemented to increase productivity and our reputation? How can we better generate profits? Here are the top five goals to add to your "to do" list for 2019. 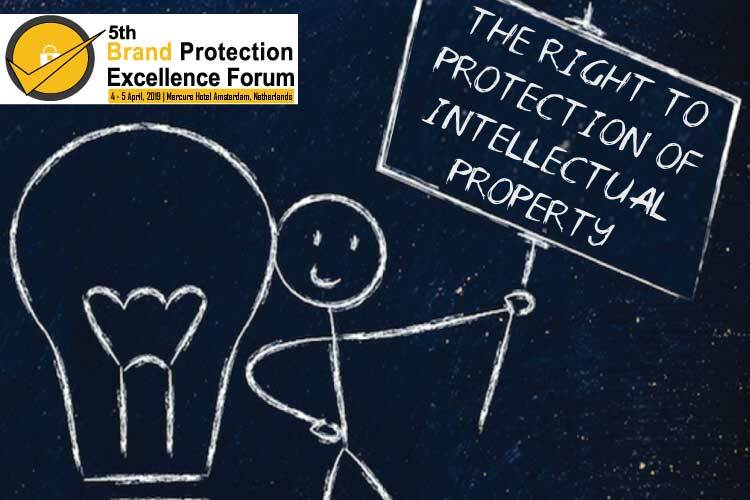 The World Intellectual Property Organisation (WIPO) defines intellectual property as "creations of the mind, such as inventions, literacy and artistic works, designs and symbols, names and images used in commerce." It's almost the end of another year and the hotel industry continues to grow at a rapid pace. 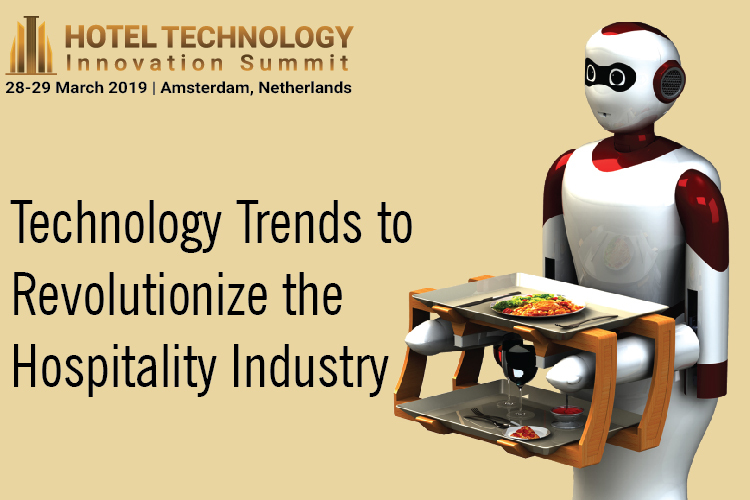 Gartner research predicts that the hospitality industry is projected to be the fastest growing enterprise IT sector between 2018 and 2021. The industry itself has always been an extremely competitive landscape but with the advent of technology changing the way in which customers want to interact with brands, has seriously up the ante. 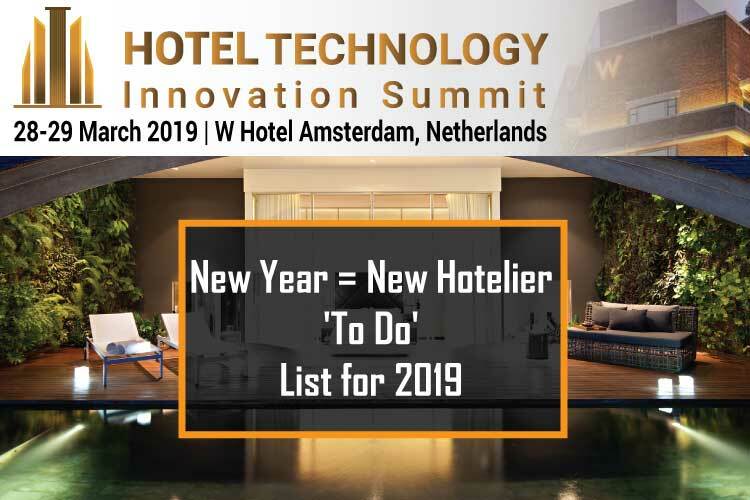 Keeping up with the latest technology trends has never been more essential - those who fail to adapt can quickly find that they are being left behind by hotel and travel companies that have implemented new approaches and ideas. 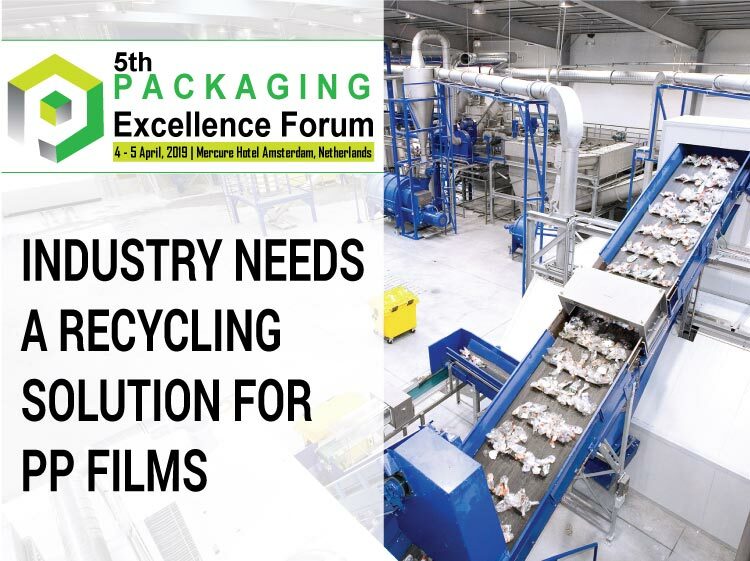 PP film, used mainly in food packaging such as biscuit and crisp packets, is not currently collected in sufficient quantities and recycled. 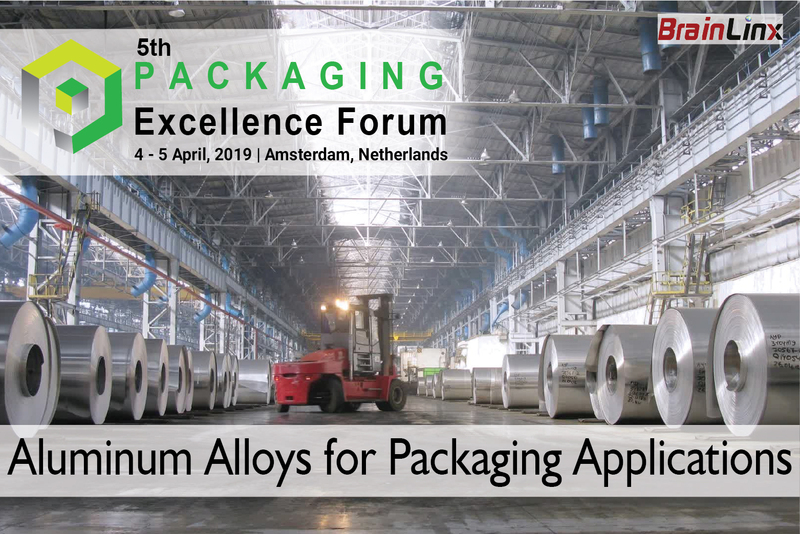 Yet studies have shown that this material could be recovered and used in a wide range of injection-moulding or extrusion applications, such as non-food packaging, pipes, transit packaging and automotive parts, according to Richard McKinlay, Axion's Head of Circular Economy. New technology is providing everyone, not just experts and professionals, with background information about their food. 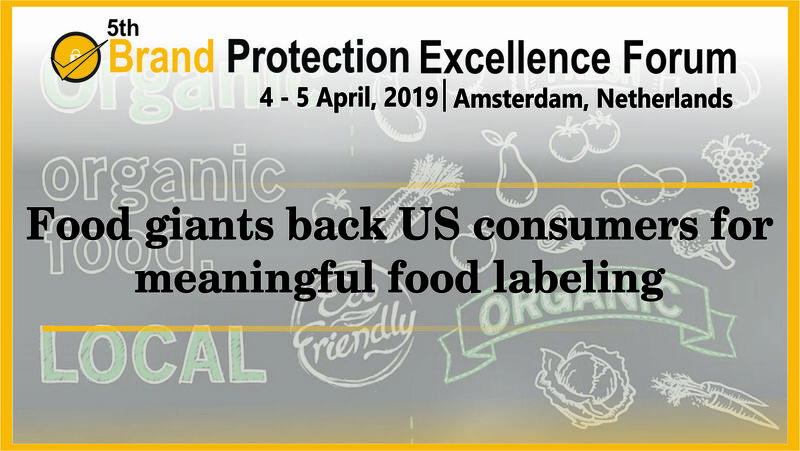 The concept of tracking food from farm to table, which first took hold with some smaller brands, will become a focus for big food in 2019. Technologies such as blockchain are poised to drive change, with some retailers and companies tracking food from sourcing to shipping to store. New bar code technology is also enabling shoppers to scan a product code with their smart phone and see the farm the chicken came from, how far it travelled and even view a picture of the farmer who raised it. 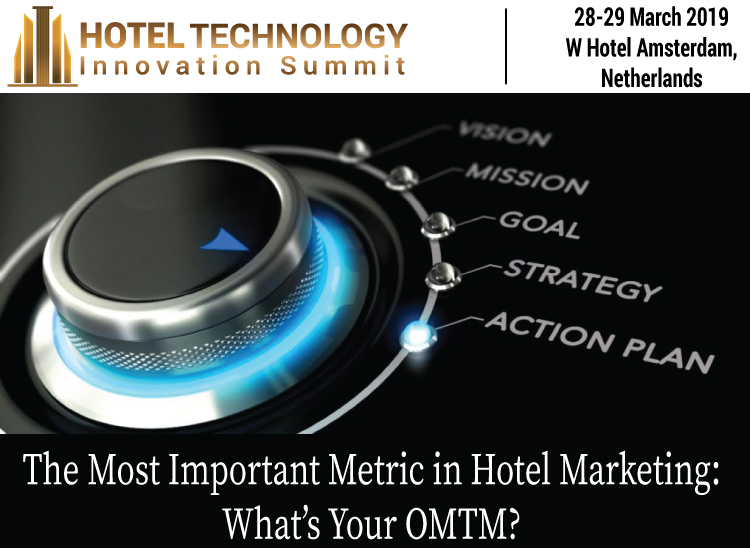 The Most Important Metric in Hotel Marketing: What's Your OMTM? Determine the single most important metric by which you will be judged this coming year by management/ownership, then align your actions and energy around it. As hotel marketers, we have dozens of metrics to deal with_. but we humbly suggest there's one that should matter more than any other. The One Metric That Matters (OMTM) is a powerful concept derived from a renowned thought leader in Silicon Valley. Adhesive pallet stabilisation saves money, cuts waste and avoids damage during transportation and storage, according to Protek Packaging. The supplier of hot melt systems that are designed for protecting goods in transit said pallets then remain unitised after removing wrap, reducing the risk of potential accidents caused by products falling from high rack storage. 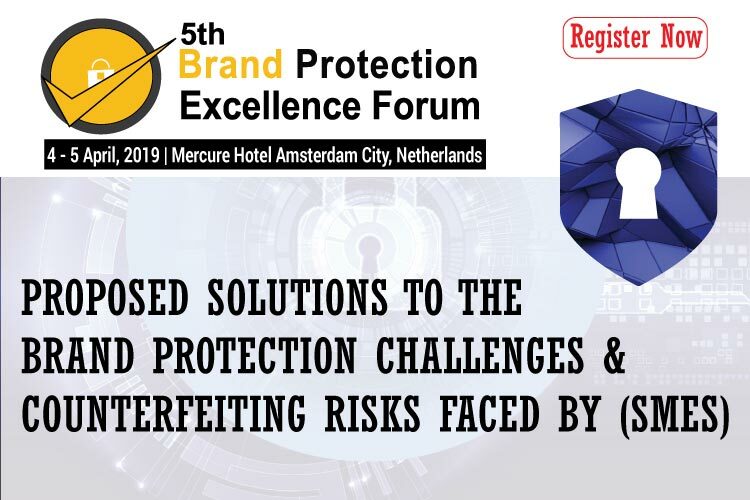 Small and medium enterprises (SMEs) are vulnerable to the same counterfeiting threats faced by larger businesses, yet, the unique brand protection challenges they face have not been explored. These challenges relate to resource constraints that make it difficult to implement traditional brand protection strategies. 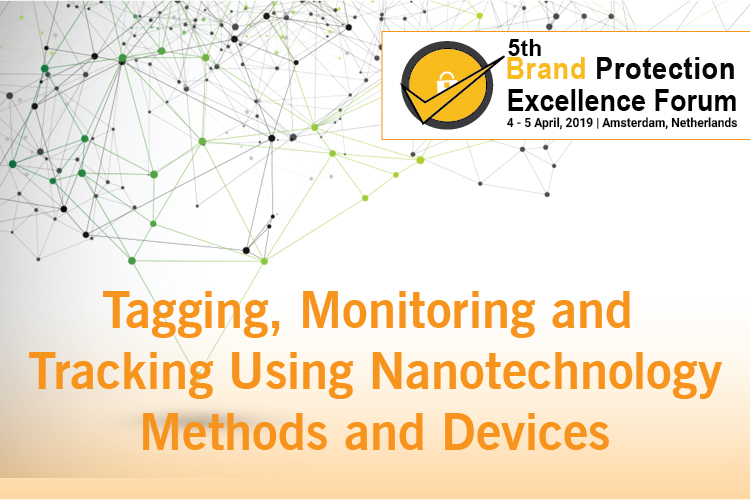 This article discusses the problem of product counterfeiting from the perspective of SMEs, while considering how the resource constraints they face impact their ability to establish brand protection programs. 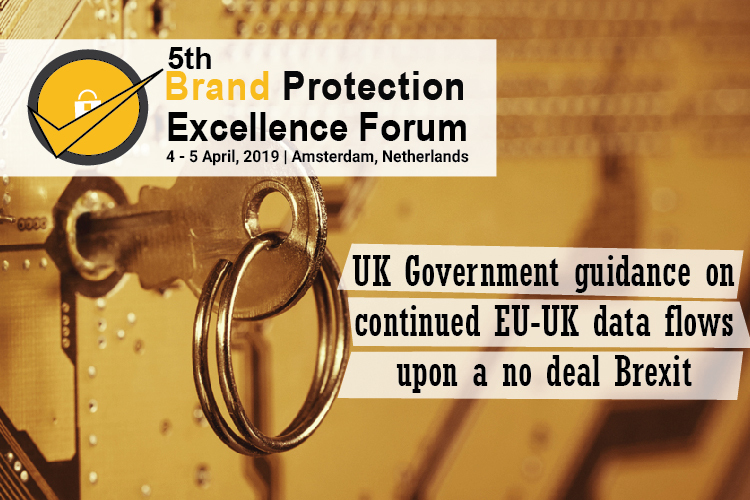 Potential solutions are described, and 10 testable propositions intended to guide future research and the practice of brand protection in SMEs are proposed. 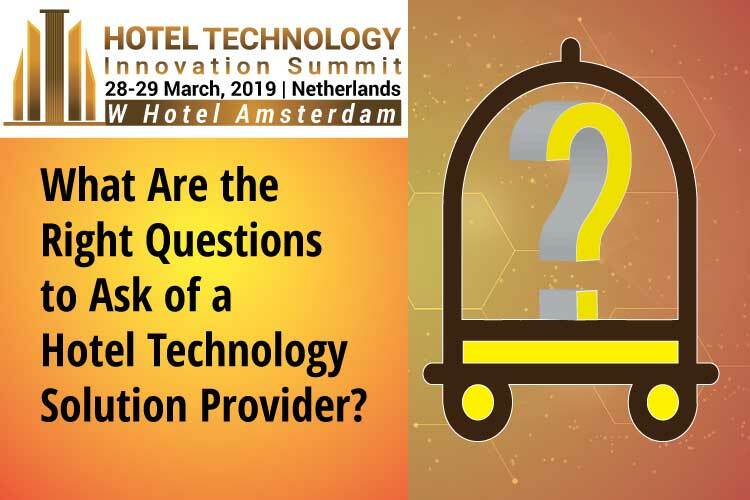 Having a wealth of analytic capabilities at their fingertips can prompt hotel executives and other decision-makers to question assumptions at all levels of the organization. An unexpected result deserves to be questioned until it becomes certain it is not based on faulty data or a flawed analysis. 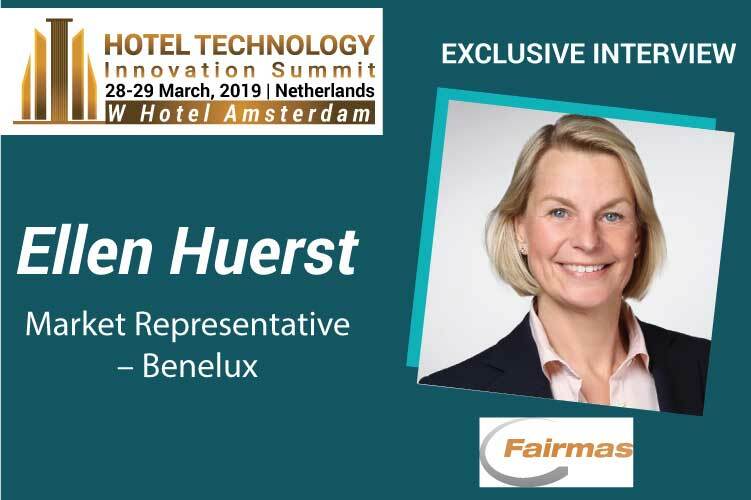 What should be avoided is the smug "I know better" attitude that has been known to blind hotel operators - particularly, seasoned revenue managers - to genuine opportunities to increase RevPAR. 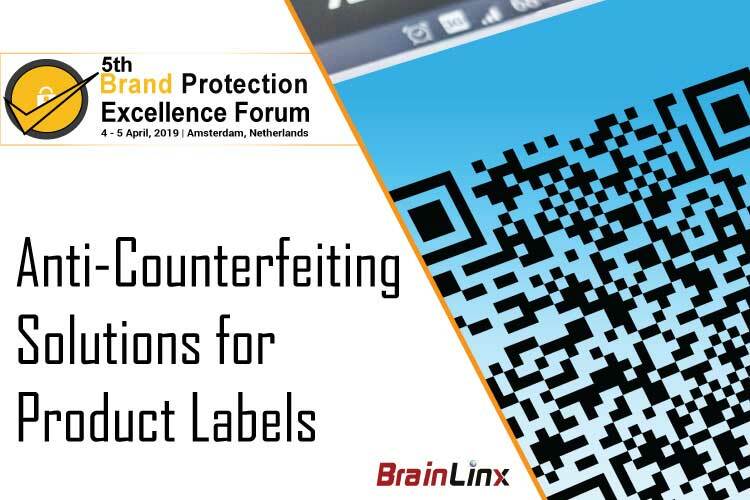 The emergence of fake barcodes and its implications in the battle against counterfeiting.The Quick Response (QR) code is now everywhere. Invented in 1994, these two-dimensional barcodes have become a common fixture in consumer advertising, appearing in print media from newspapers to billboards. In nearly all cases, these barcodes merely direct the consumer to the product or corporate website after it is scanned. In other words, these are static barcodes with fixed content and therefore easily printed in a repetitive manner as part of the overall package artwork. A UK food tech company has created a film solution which "prolongs the life of fresh fruit and veg and significantly reduces food waste. 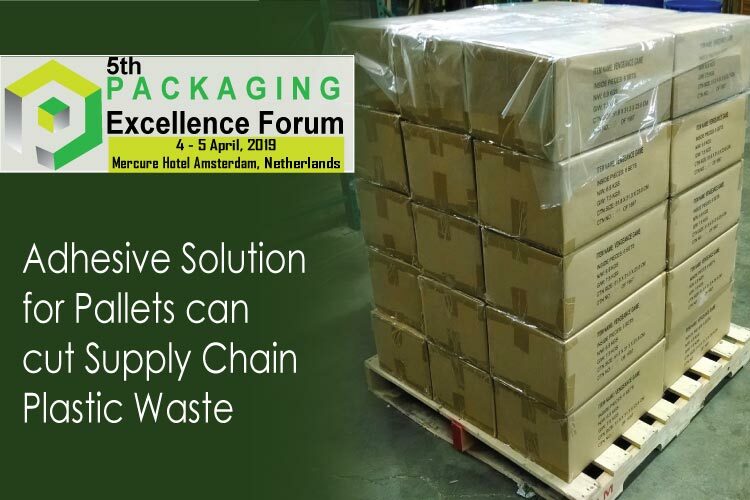 "The new 'purposeful packaging' technology reduces food waste in supermarkets, in the supply chain, and in the home and is the latest addition to the It's Fresh! product portfolio. 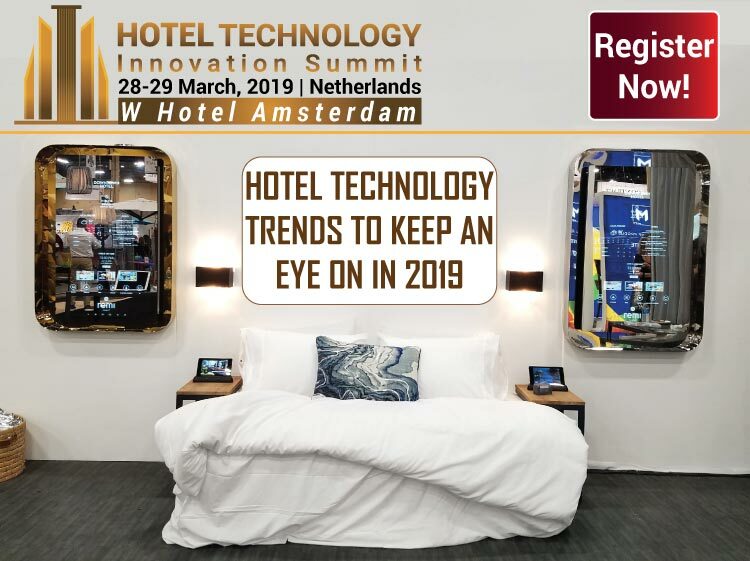 Hotels leave no stone unturned in today's extremely competitive business environment, and a key weapon in their arsenal is technology. 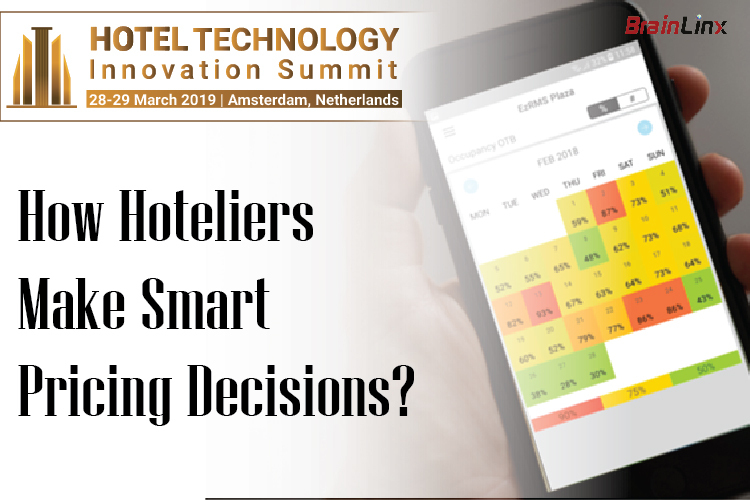 However, with technology in a constant state of flux and constantly unlocking new opportunities to improve customer satisfaction and boost internal efficiency, hotels have their task cut out leveraging technology to remain one-up on competition. 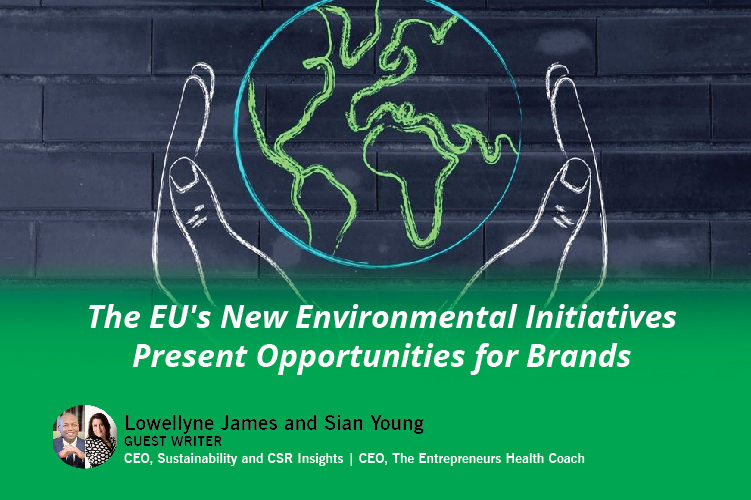 The emergence of the EU ban on single-use plastics provides fertile ground for businesses to rethink their strategy by building a 'virtuous brand. 'Entrepreneurs are faced with increasing pressure to create businesses that not only meet the requirements of their target customers but also societal expectations. Slogans such as "doing well by doing good," "triple bottom line" and "get one, give one" encapsulate customer expectations of quality. Europol has teamed up with law enforcement across the EU to form a dedicated unit to fight illicit trade on the dark web. 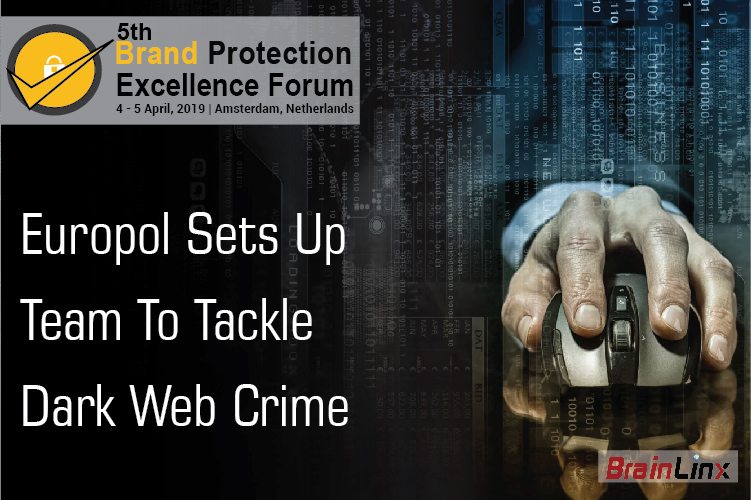 The initiative, announced at a meeting at Europol's headquarters in The Hague on May 29, aims to deliver "a complete, coordinated approach: sharing information, providing operational support and expertise in different crime areas and the development of tools, tactics, and techniques to conduct dark web investigations and identify top threats and targets." The dark web hosts many of the more critical marketplaces for several criminal organisations and individual illegal activities in Europe and around the world, according to Europol. I am in awe of small business owners. As a legal advisor to many startups, nothing gets me energized quite like the enthusiasm of passionate entrepreneurs, either in the midst of growth so relentless they can't keep up, or when they're closing in on bringing a much-needed and unique product or service to market. These business owners put their blood, sweat and tears (figuratively, for the most part, but in some instances literally) into the venture, and the drive is contagious. 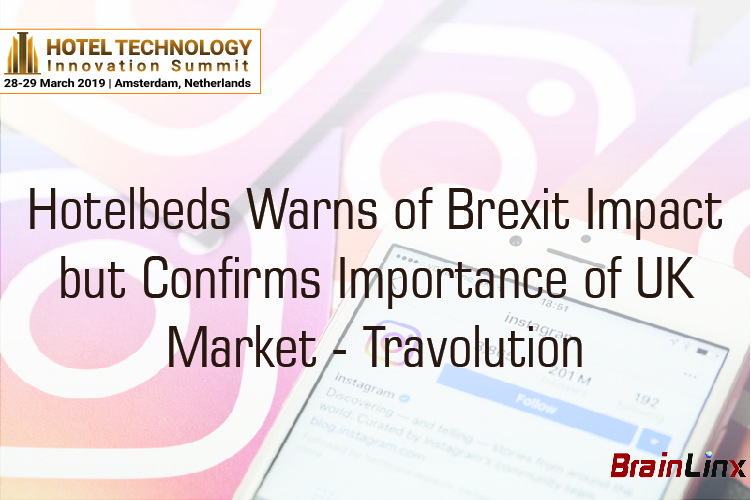 Leading accommodation wholesaler Hotelbeds expects to see a Brexit impact during the turn of year peaks in the UK market which it confirmed as its largest source market last week. The Palma-based B2B supplier said it has seen a downturn in growth in the market which it believes is down to the uncertainty caused by Brexit. 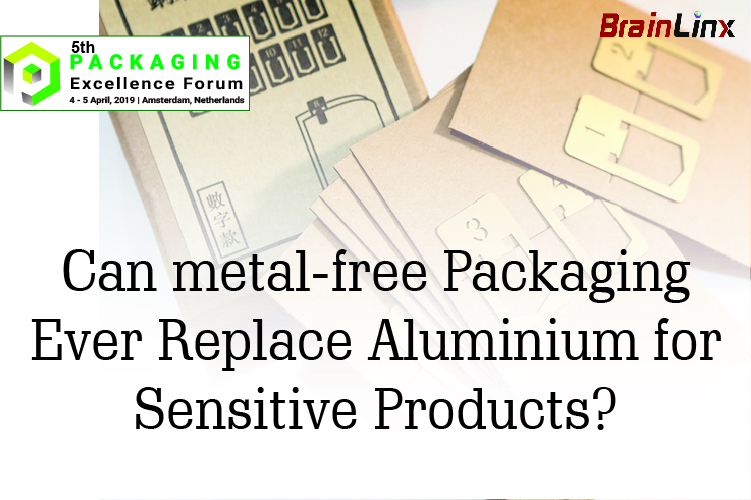 Can metal-free packaging ever replace aluminium for sensitive products? 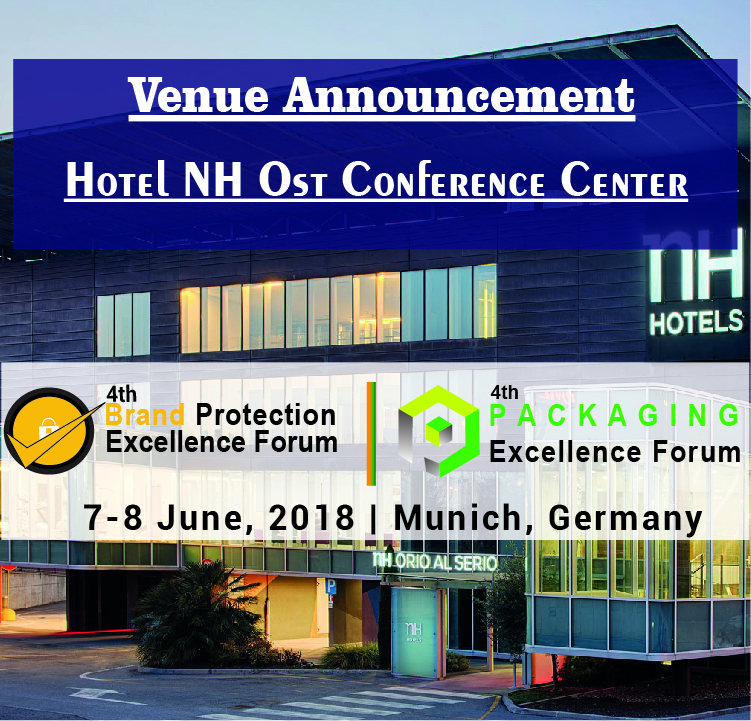 While aluminium-based packaging solutions have traditionally provided the highest barrier protection of all materials, a new, unique method of stress-testing has also revealed its limitations. Italy's mafia embedded in food supply chain Organised crime organisations have infiltrated the entire food supply chain in Italy - from field to fork - in order to siphon off subsidies, launder money and engage in food fraud, says the Financial Times in a special report. The so-called 'agromafia' has seen revenues from the activity surge from 12.5bn in 2011 to around 22bn this year, according to the newspaper, and now accounts for around 15 per cent of total estimated mafia turnover. It is thought that all the big syndicates, including the Neapolitan Camorra, the Sicilian Cosa Nostra and the 'Ndrangheta from the region of Calabria, are involved in the illicit activity. Harnessing the power of revenue management, major hotel and resort brands have seen their revenue numbers increase by millions of dollars. Smaller properties, too, have enjoyed substantial upturns in top-line revenue growth. 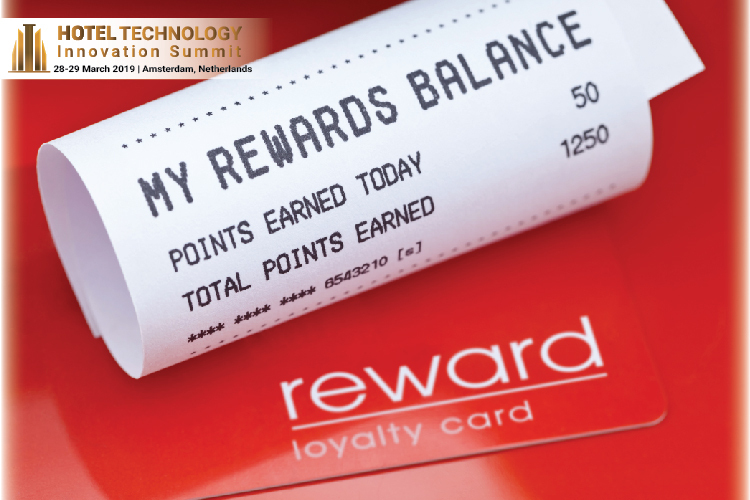 Fueling this success is the advent of next-generation cloud revenue management solutions. 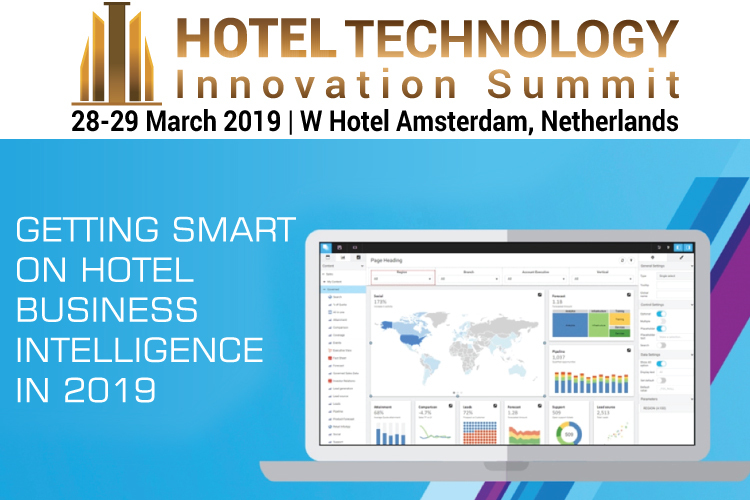 These solutions are designed to automate pricing recommendations and other decision-making processes that sit at the heart of increased room occupancy, revenue and overall profitability. 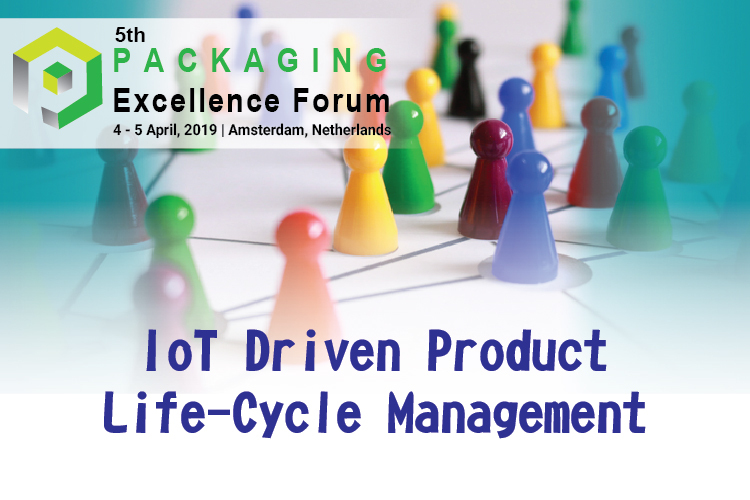 Intelligent, connected packaging can prove beneficial to consumers, brands and the supply chain in more ways than perhaps many envisaged. 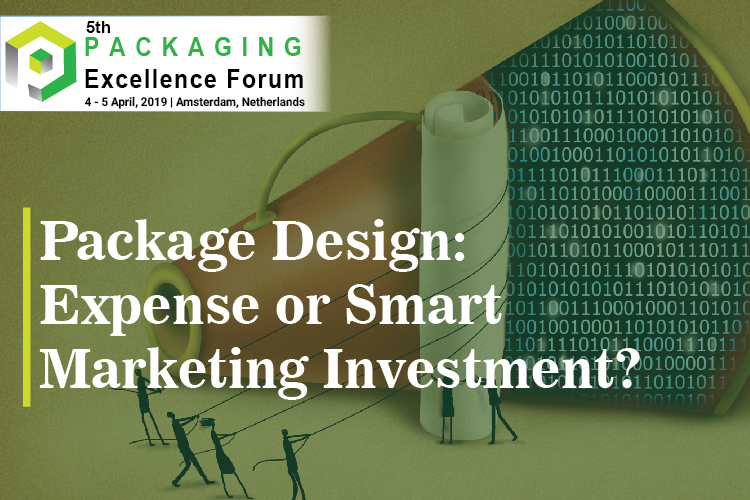 Tony Corbin taps into the technology Zeitgeist.The idea of smart or connected packaging might have previously been considered frivolous or superfluous by some. Some of the mobile-enabled packs showcased in recent years might have given some the impression that they were gimmicks that added little value. 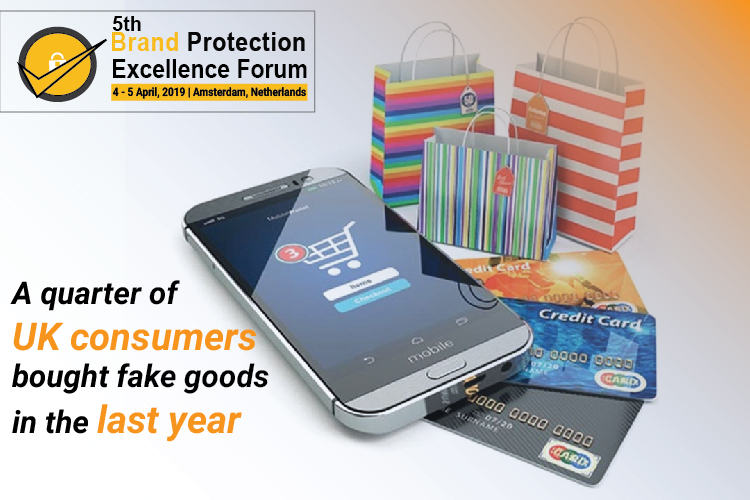 Most consumers and brand owners are aware of the economic, reputation and safety harms associated with the counterfeit good trades, however, there is another equally serious result of this illicit activity. 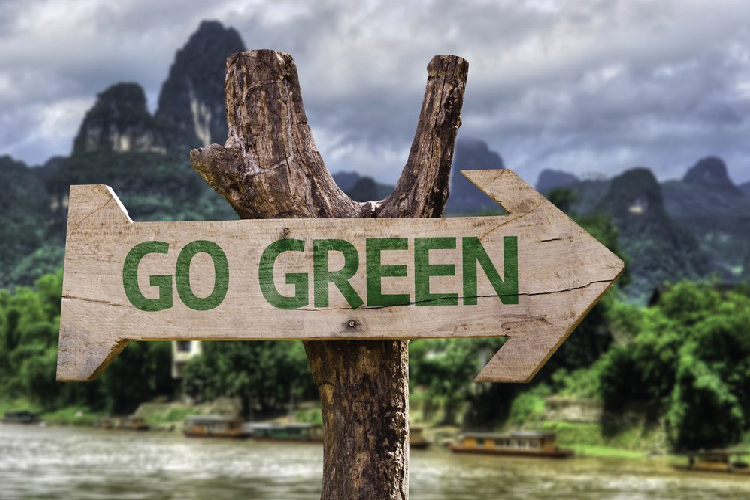 On World Environment Day (5th June), here are three significant negative impacts that the counterfeit industry is having on our world. 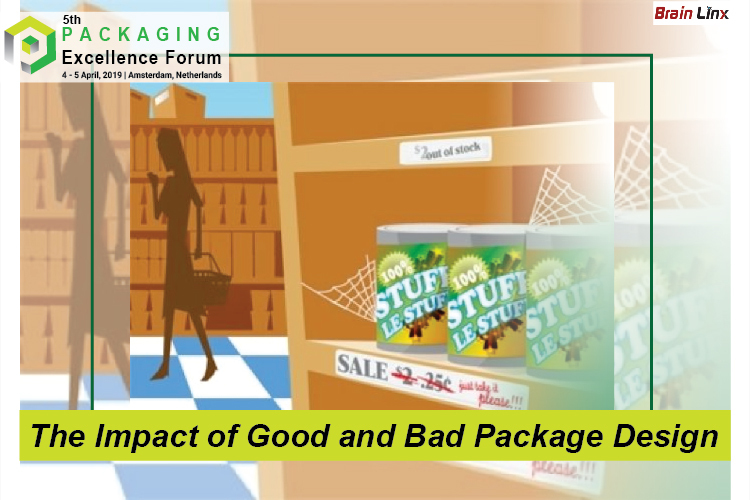 Package design: Expense or smart marketing investment? If we go on this premise-the packaging is the product, and it should create consumer value and brand value-we will not fail to properly invest in it. Consumer product companies are in a constant battle to maintain and win new business in an environment of intense competition as consumers increasingly demand more from brands. So what clear advantage can they leverage? It's great to have quality products, and innovative ones, but do they get undermined at the shelf due to mundane or uninspiring packaging? Counterfeiting is a hugely successful industry, especially nowadays where luxury seems almost absurdly unattainable for most mere mortals. And, even if this is a phenomenon that we can find in every sector, some of the most counterfeited industries are fashion and cosmetics. 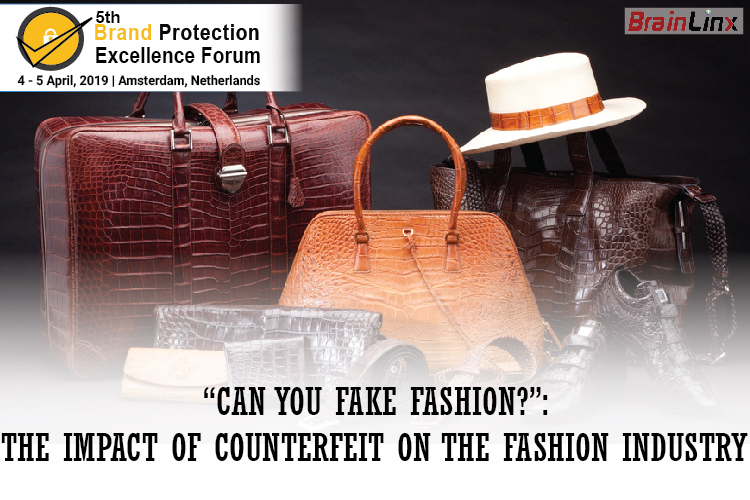 It is believed that counterfeit fashion goods cost European brands the value of 9.7% of their total sales every year. This percentage has definitely been boosted by the arrival of the Internet and e-commerce owing to the anonymity it gives to fraudsters. However the phenomenon of counterfeiting is as old as couture itself. In the early 1900s, fashion forgers often sketched designs they saw in Paris shows and sold reproductions in France and overseas. By 1914, more than two million fake couture labels had been sewn into garments. 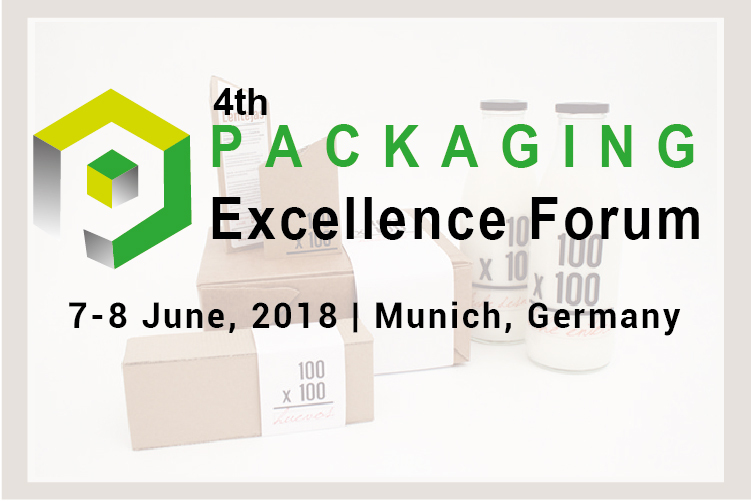 Packaging Excellence Forum (PEF) has been serving the European market for the last 5 years and providing a global stage for the novelties and the innovative impetus of the fast-growing processing and packaging. 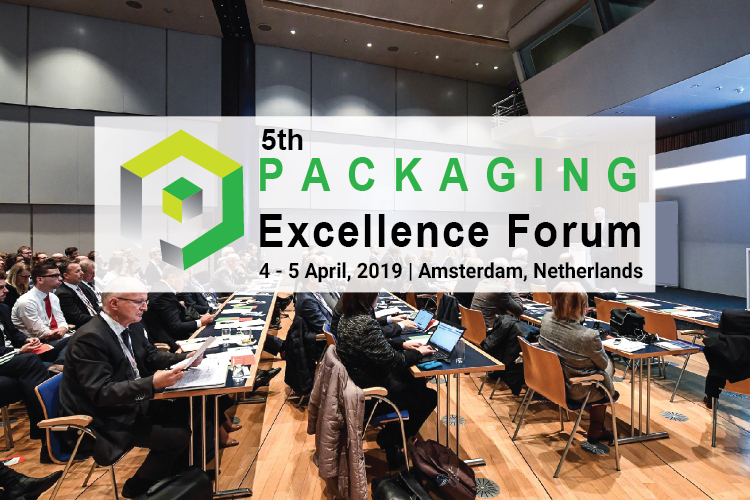 5th Packaging Excellence Forum, 2019 will take place from 04 to 05 April, 2019 at an exclusive, venue of Amsterdam, Netherlands which is the world's largest hub for novel brand protection strategies. Whether you're looking to source packaging machinery, food processing, liquid processing, weighing and metering equipment, packaging materials and containers, or industrial robots, warehouse logistics and quality inspection equipment, we have you covered. 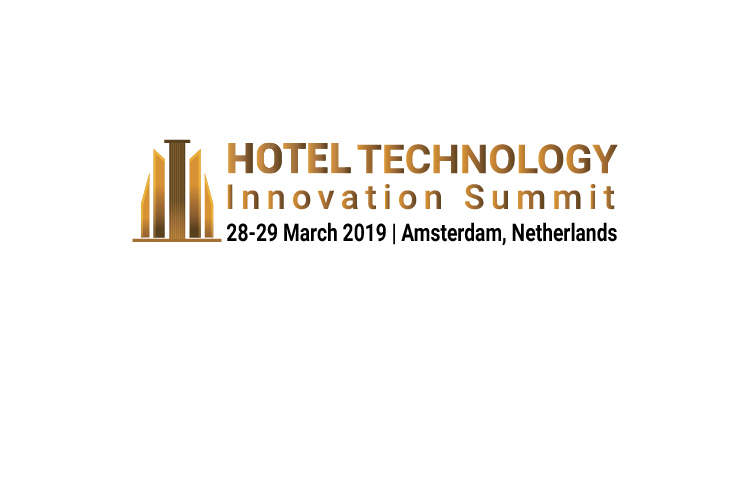 Hotel Technology Innovation Summit (HTIS 2019) is an upcoming Insight Summit going to be held on 28-29 March, Amsterdam, Netherlands. Dealing with counterfeit products is nothing new for the fashion industry, but the scale of the problem is a continual challenge and one which doesn't appear to be slowing down on the online shopping scene. 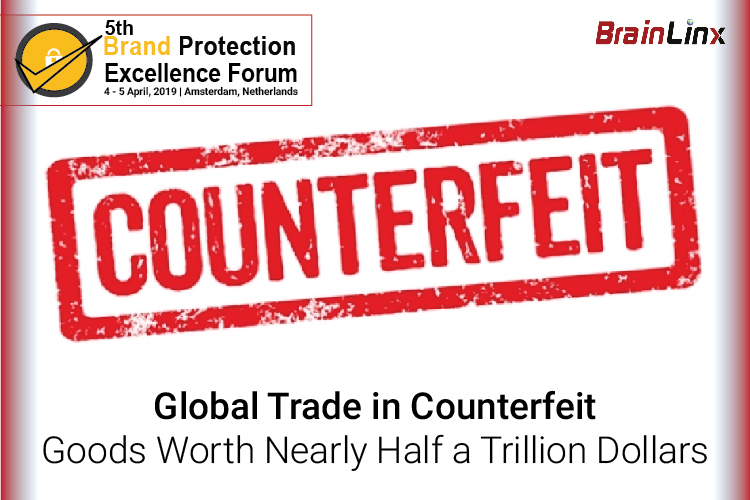 Earlier this year, The Global Brand Counterfeiting and Trademark Infringement Report, announced that the amount of counterfeiting globally has now reached $1.2 Trillion (USD). The report also concluded that approximately $500 Billion (USD) of the total losses incurred is in consumer goods, of which 8 - 10% is from Clothing, Textile, Footwear, Watches, Cosmetics and Perfumes. 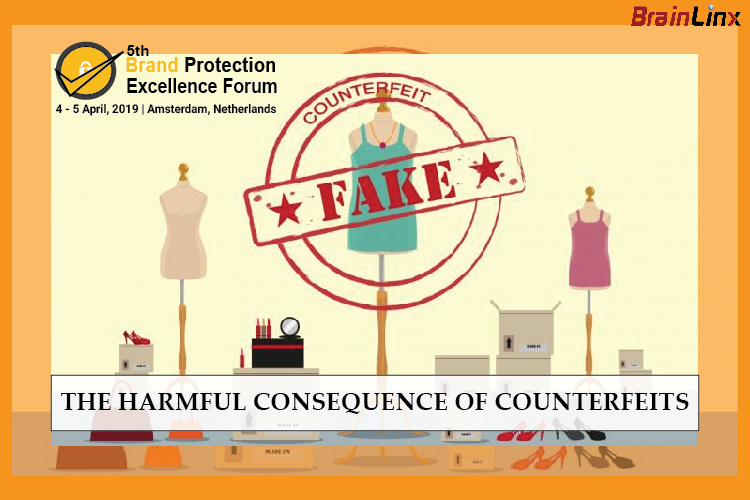 Furthermore, online sales accounted for 31% of the total counterfeiting-related losses, with fashion items in the luxury sector estimated to have incurred losses of $30.3 billion due to IP infringing goods. This book addresses the growing importance of corporate social responsibility and sustainability in the cosmetics industry, highlighting the need to consider, evaluate and implement approaches which balance economic, environmental and consumer demands throughout all aspects of sustainability; ingredients, formulations, packaging, ethics and certification organisms. 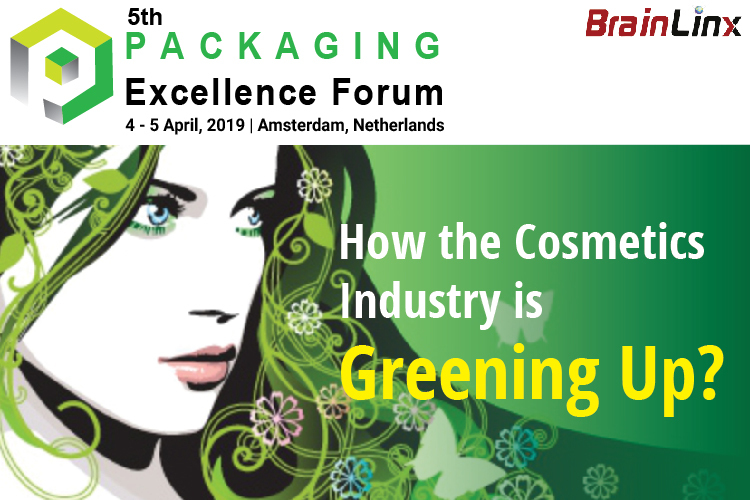 The overriding purpose of this book is to outline methods of reducing environmental and social impacts of cosmetic products by highlighting industry best-practices. When diners order their burger and fries these days, it often comes with a hefty helping of digital on the side. 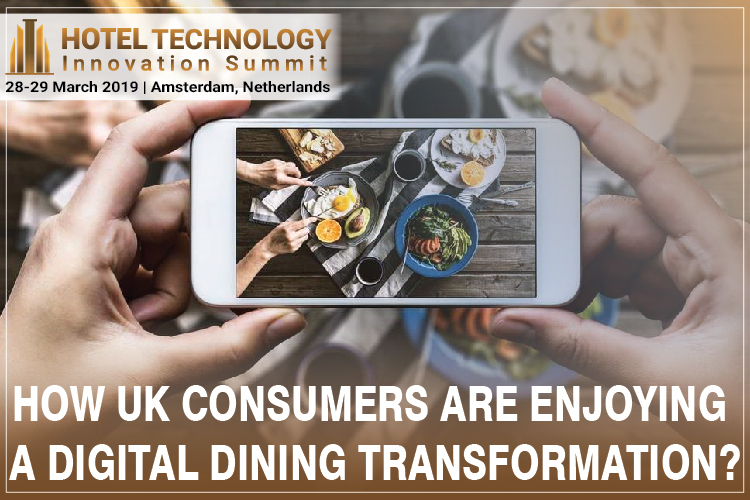 Digital transformation is truly gripping the UK restaurant industry now - and I'm sure it can provide answers to some of today's key challenges. We've seen huge changes in diner behaviour during the last few years. Restaurants have had to work hard to keep up with their changing preferences. These trends affect both takeaway eating and in-restaurant dining, and are making differences in every area from casual and fast-casual dining right up to the fine-dining sector. How effective is your package as a silent sales person? How often have you bought a package based on the design, never having tried it before? I'm guilty! If I like the design, I'll buy it. With so much choice in grocery and retail stores today, package design must work even harder to 'woo' us. The hospitality industry is becoming tougher. 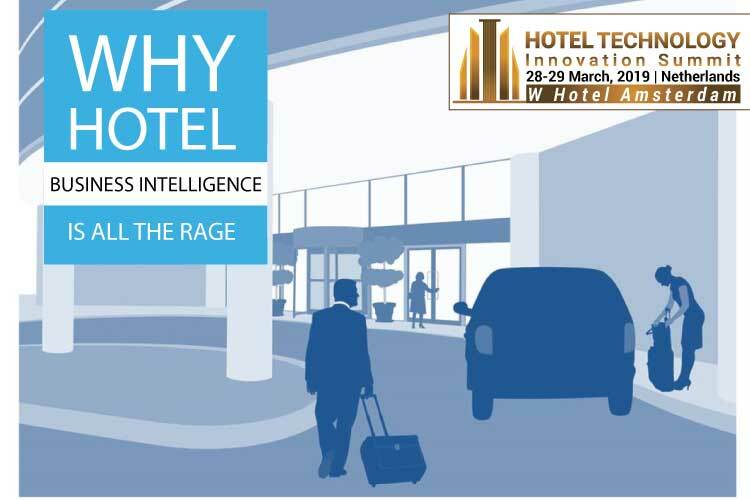 Hotels are experiencing great forces of change that are tossing many businesses to the bin. 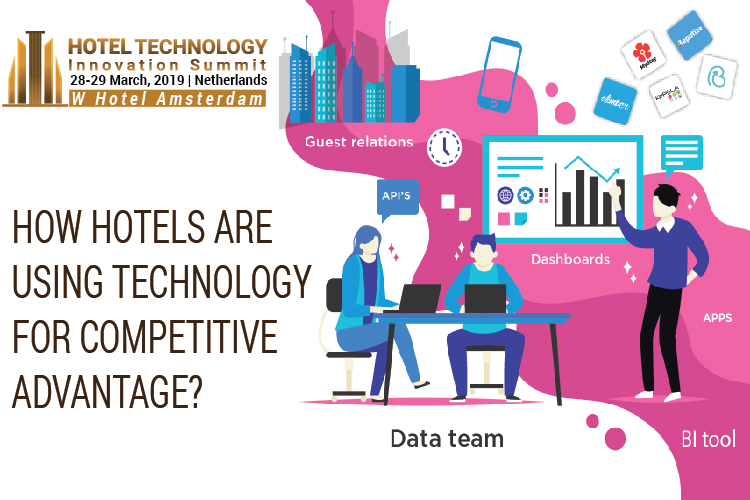 The ever-growing fangs of competition, intimidating technological evolution and changing consumer preferences haunt hotel businesses every day. 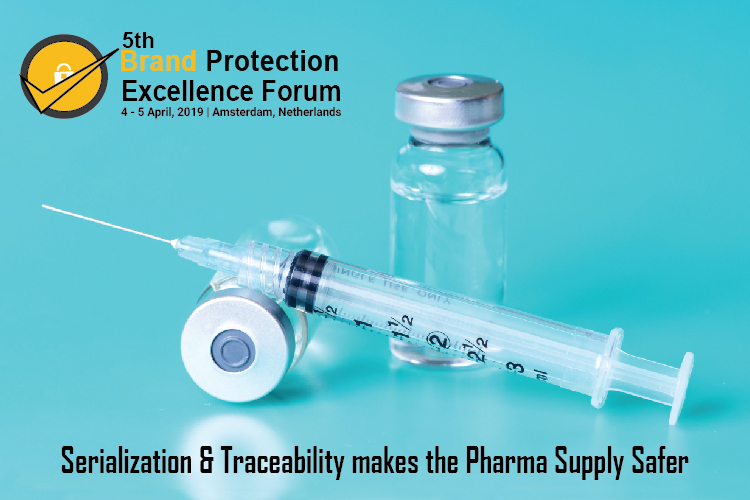 In 2017 the WHO estimated that the counterfeit drug market represents around 10-15 per cent of the pharmaceutical market worldwide, with an estimated $200bn revenue per year. Worldwide there were 3,509 pharmaceutical crime incidents in 2017, which represents an 11% increase from 2016. Most falsified medicines that reach the market do so because of inefficiencies in the supply chain. The complexity of the supply chain, in which drugs change ownership multiple times before reaching the patient, leads to these inefficiencies. With some channels ignoring distribution rules, a drug's authenticity is put at stake in the end. UK restaurants are facing increasing competition, not just from competitors that provide takeaway and delivery services, but from home meal kit providers too. Growth in the UK eating out market is slowing. It grew by 1.7% in 2017 and is expected to grow by 1.5% in 2018 (although it's still predicted to grow by 5bn in the next three years). Restauranteurs are having to ask themselves, why should people go out to eat at a more expensive restaurant, when they can have a tasty meal at their favourite mid-range restaurant? Why should they leave the comfort of their home when they can order in, or whip up a quick, tasty and nutritious meal from a recipe and a meal kit? More than one in four (26 per cent) of UK consumers have been fooled into buying a counterfeit product while shopping online in the last 12 months, says a new report. 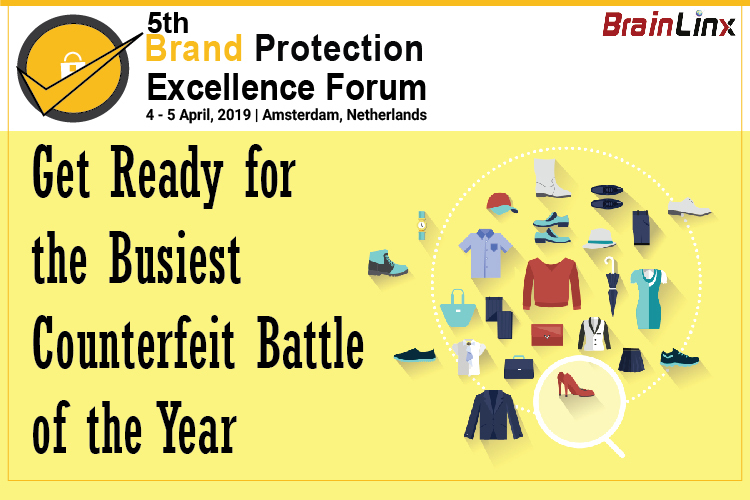 The survey- by online brand protection company Incopro - also found that less than half (41 per cent) of those who had bought a counterfeit and reported it to an online marketplace received a refund. And unsurprisingly, 66 per cent of then have lost trust in a brand as a result. Single-use plastic items such as plates, cutlery, straws, balloon sticks or cotton buds, will be banned in the EU under plans adopted on Wednesday. These products, which make up over 70% of marine litter, will be banned from the EU market from 2021, under draft plans approved by Parliament. 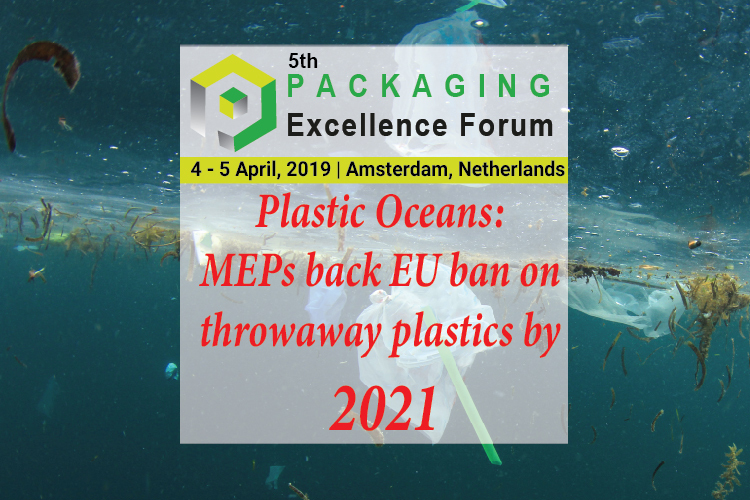 MEPs added to this list of plastics banned from the EU market from 2021: products made of oxo-degradable plastics, such as bags or packaging and fast-food containers made of expanded polystyrene. 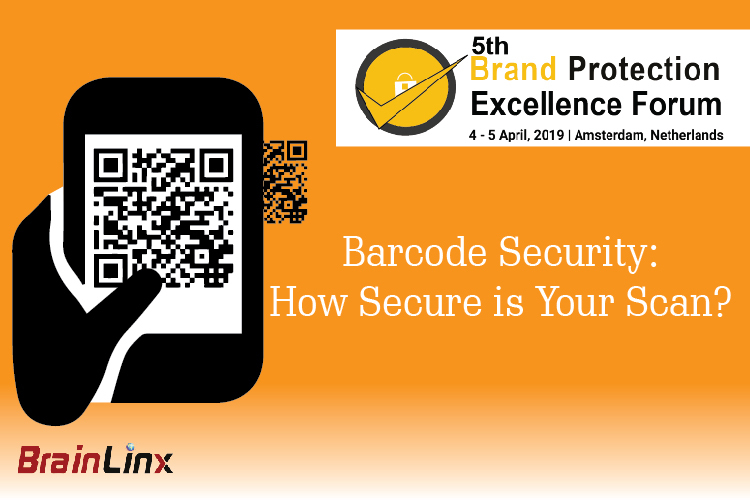 Barcode Security: How Secure is Your Scan? We all love to do it. Take out our mobile phones and simply scan the barcode to pay at our favorite coffee shops. It's fast, it's convenient, and it's the future! But is it secure? Barcode mobile payment has been picked up by many notable brands - the largest being Starbucks. Every week, more than 4 million mobile transactions are initiated by the Starbucks mobile app. These are closed loop mobile payments that replicate the Starbucks gift card experience - which has relatively low tender. But what happens when barcode technology becomes the interface for your entire mobile wallet? Suddenly, your bank and credit cards are involved. 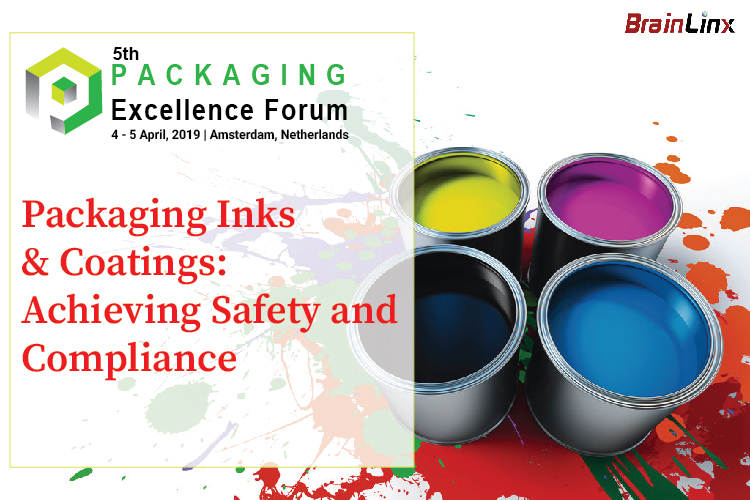 The regulations for using inks and coatings in food packaging applications tend to cause much confusion and concern for those involved, from the raw material supplier to the printer or coating producer, to the end-use customer. Defined as an ink, overprint, or functional paper and packaging varnish, a wide variety of "coatings" are used on myriad food packages, including ready-to-eat, microwavable, take-out, refrigerated and frozen consumable items. 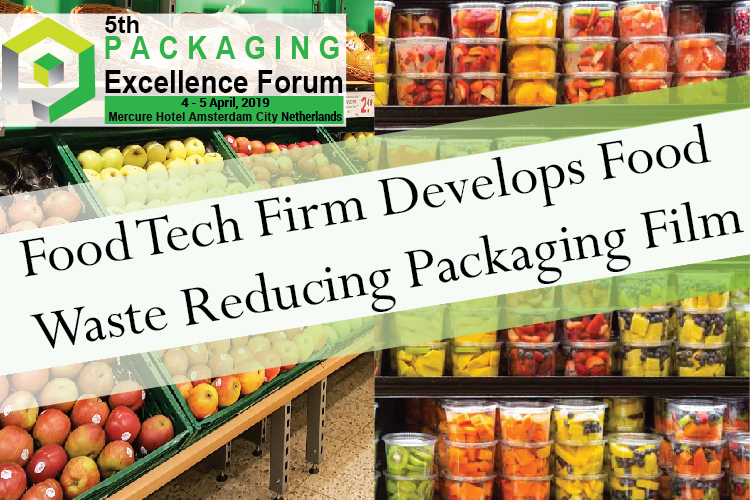 However, there is confusion about the difference between direct and indirect contact versus direct and indirect additives, how specific applications are addressed in the regulations, and what options are available when establishing suitable safety and regulatory clearance for food packaging. In this article, we will discuss the applicable regulations and other considerations for determining the suitability of a coating for use in a food contact application. According to a 2016 report published by OECD, The Organization for Economic Co-operation and Development, global trade in counterfeit and pirated goods are worth nearly half a trillion dollars annually with U.S. (20%), Italian (15%), French (12%)and Swiss (12%) brands being the hardest hit. This is equivalent to about 2.5% of all global imports and, according to Antonio Campinos, president of the EU Intellectual Property Office, equal to the combined GDP of the Czech Republic and Ireland. Most of the proceeds are going to organized crime according to a new report by the OECD and the EU’s Intellectual Property Office. The report further states that up to 5% of all goods imported into the European Union are fakes. The organization calculated the estimate based on half a million customs seizures around the world over 2011-2013. The findings contradict the image that counterfeits only hurt big companies and luxury goods manufacturers. The counterfeiters take advantage of our trust in trademarks and brand names to undermine economies and endanger our lives. 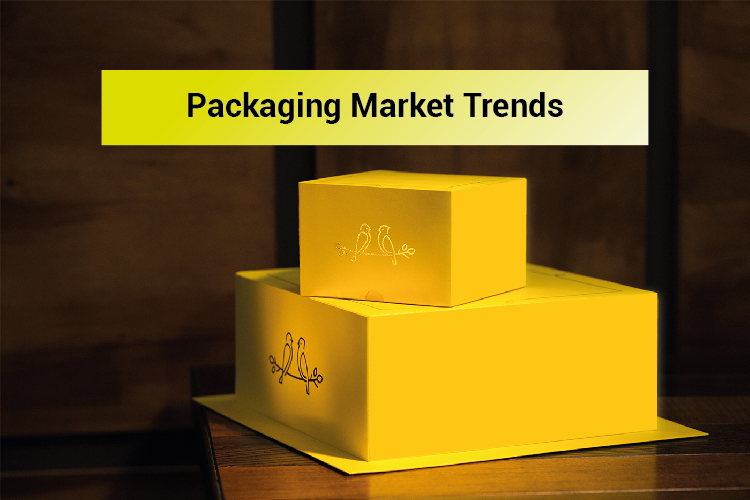 Worldwide, the consumer packaging market is valued at $400 billion, and $500 billion if industrial end-markets are included. As such, the health of the sector is linked to that of the total world economy. 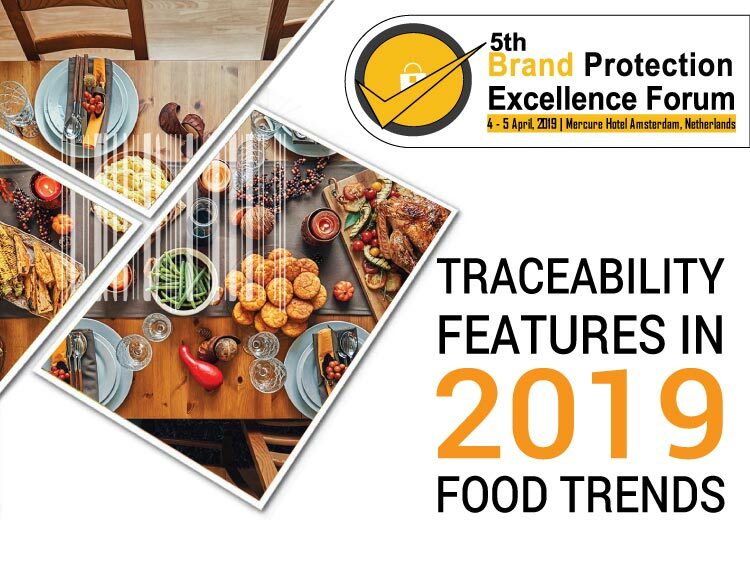 Here, Antony Debus, head of U.K. sales at Advanta, discusses the challenges for today’s food manufacturing market and the five S’s to consider when choosing packaging: sustainability, shelf-life, size, shape and smart labels. An RFid tag is a small, wireless integrated-circuit (IC) chip with a radio circuit and an identification code embedded in it. The advantages of the RFid tag over other scan-able tags - such as the UPC barcodes pasted on most consumer products today - are that the RFid tag is small enough to be embedded in the product itself - not just on its package; it can hold much more information, can be scanned at a distance (and through materials, such as boxes or other packaging) and many tags can be scanned at the same time. 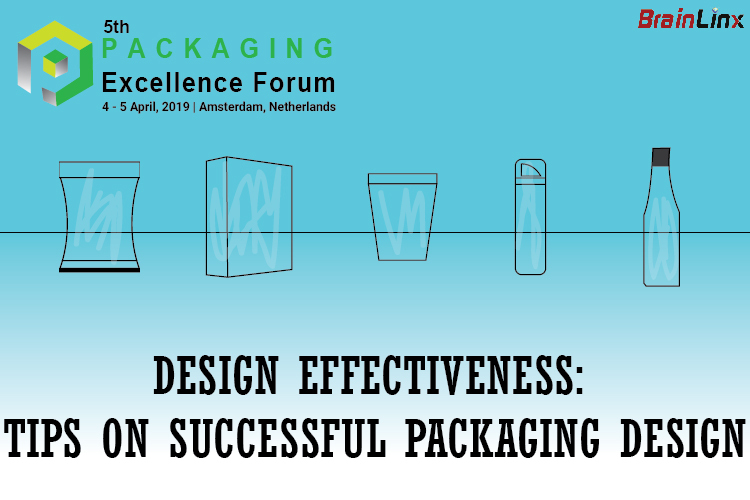 Frank Nas, Managing Director at our Amsterdam office, was one of the speakers during the Marketing and Design Congress in Amsterdam last year. In run-up to the event, which focuses on design accountability, Frank wrote a column about design effectiveness which was published on Dutch marketing website Marketing Tribune.nl. Here’s a translation of the full article: Design Effectiveness is the bridge between the creative vision and the bean counting. It’s what separates great design from good packaging design. From smart homes to smartwatches, to connected devices controlling nuclear centrifuges, there’s no doubt that IoT devices are fast becoming more pervasive in people’s lives. Gartner predicts a 32% compound annual growth rate (CAGR) for IoT from 2016 to 2021, with installed devices expected to total 25.1 billion units by 2021. Online market research and business intelligence company Statista, on the other hand, predicts that the installed base for IoT devices worldwide will be 75.44 billion by 2025. Sophisticated replication techniques have made counterfeiting and fraud a serious threat to the pharmaceutical and medical industry—and to the suppliers to the sector, like packaging companies. 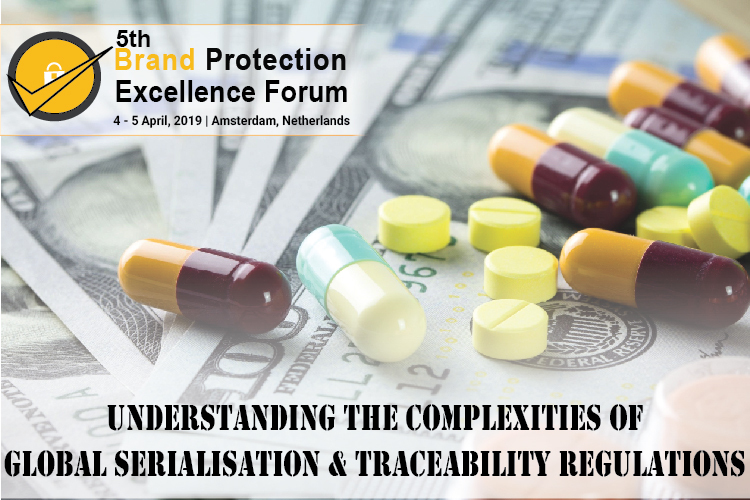 The World Health Organization (www.who.int) estimates that annual earnings from the global sales of counterfeit and substandard medicines are more than $32 billion, while counterfeit drugs and packaging put people's lives at risk. Diversion of legitimate product outside authorized distribution channels is another problem. The first packaging use of aluminum, closures on glass bottles, dates to the early 1900’s. This was a successful application primarily because the closure could be made to hold tightly to the somewhat irregular glass threads. Aluminum foil was adopted for packaging shortly after its initial production in 1913. Exclusive insights into a survey of 1,000+ consumers offer comparisons to and advice for U.S. markets and brands. 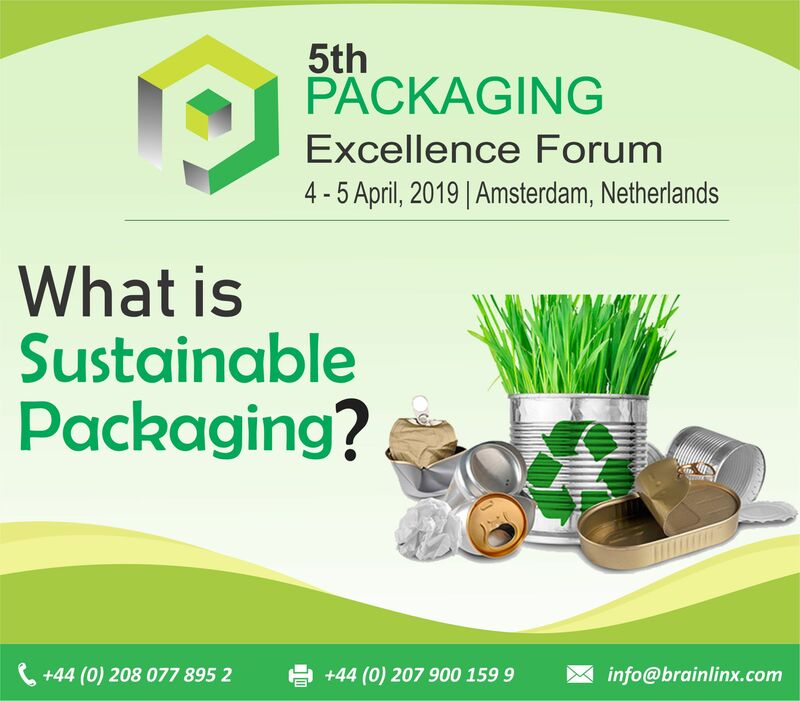 How do you find out what consumers think about packaging and recycling? That’s an easy one to answer: you ask them. But exactly how can that be done in numbers large enough to be statistically viable is an entirely different matter. However, that’s where the expertise of companies like Toluna comes into focus as an invaluable resource for brands and others wanting to get a pulse on consumers for essentially any topic, region and/or consumer segment. The contentious battle over mandatory GMO labelling rages on months after the deadline for federal regulation. Michael Levitin and Terry Slavin report Two years after former US President Barack Obama signed a law mandating the disclosure of all genetically modified (GMO) ingredients on food packaging, the US Department of Agriculture (USDA) has overshot the July 31 deadline to bring in new food labelling laws, amid rising consumer opposition to GMO food. 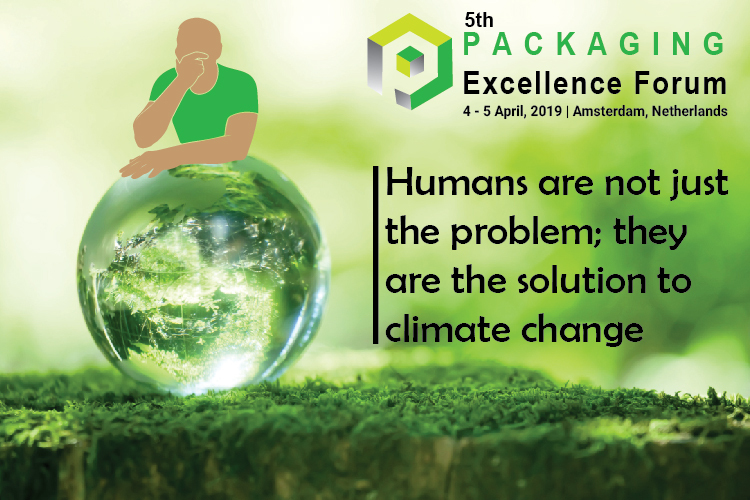 After decades of trying to engage people with solutions to climate change, it’s time to go beyond behaviour change and recognize people as agents of change, rather than objects to be changed. Researchers remind us almost daily that time is running out – they warn us that we have only a few years to “bend the curves” of greenhouse gas emissions. The world is warming, and the consequences are increasingly visible – more rapidly than many scientists expected. Scientists are increasingly concerned that we will at some point reach tipping points where it becomes difficult to avoid a “hothouse Earth”. Adhesive labels, in their many forms and uses, play a big role in the everyday life of hospitals and health centres everywhere. They are the means to convey life-saving information and make sure that everything that moves through the healthcare system is traceable. A huge amount of labels is used in test tubes in medical laboratories only. The high criteria of patient safety sets great demands on the labels – they have to function reliably and have versatile qualities. Have you heard that buzz word going around the internet these days? Sustainability. In ecology, sustainability is the property of biological systems to remain diverse and productive indefinitely. That's a mouth full but it means to be able to be maintained at a certain rate or level. For packaging that means forever. Recycled and renewable resources play a larger part here. 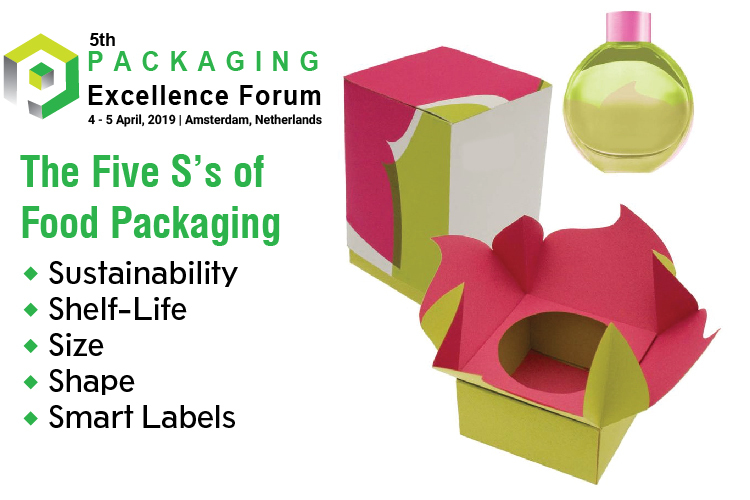 Let's take a look at the definition of sustainable packaging from the Sustainable Packaging Coalition. Is Your Next Product Wrapped in Eco-Friendly Packaging? 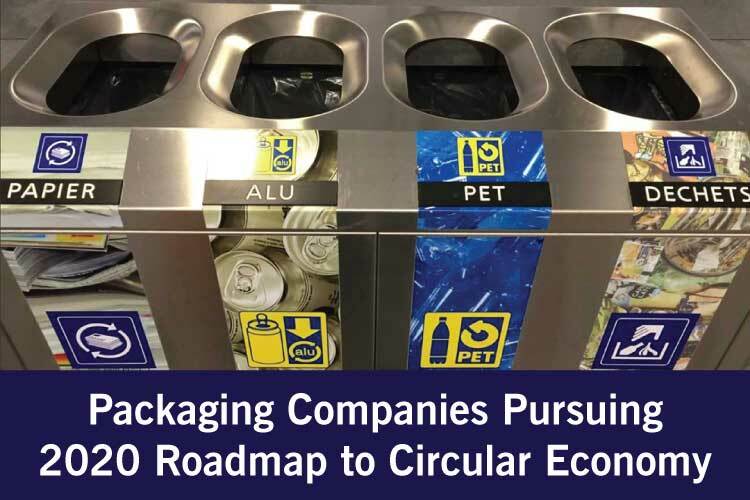 Increased consumer transparency and the desire to make the world a better place have meant that companies all over the world are committing to better environmental policies. One area that’s getting a lot of attention is eco-friendly packaging. 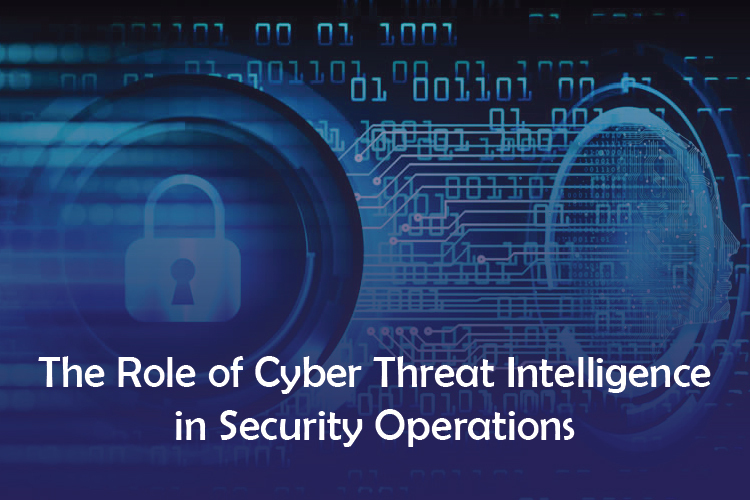 Cyber threat intelligence (CTI) and its place within security operations – as well as the broader business – is growing. A recent SANS study found that 93 percent of respondents are at least partially aware of the benefits of cyber threat intelligence. However, only 41 percent have begun to integrate CTI into their security programs and only 27 percent have full integration. While these numbers highlight a trend toward adoption of intelligence-led security programs as a widely accepted best practice, for many companies there is still a long way to go. 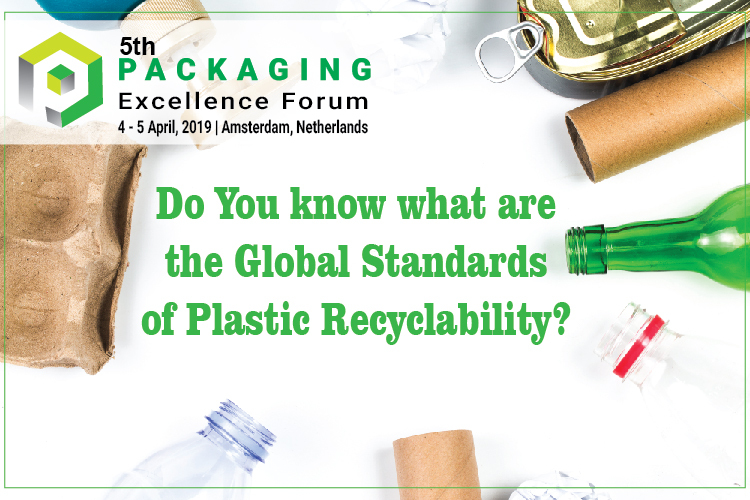 Two international recycling organizations come together to create a global definition of recyclability—a step they say is integral to harmonizing the worldwide plastics industry. It’s time for our ink jet printers to move aside and begin to collect dust because there is a new kid in town: 3D printers. 3D printers are not technically “new” technology; they have been used by engineers since the 1980s. Our classic printers read information from digital documents and print the formatted text in ink, line by line, onto paper. A 3D printer, however, interprets CAD, or computer aided design, files — similar to a blueprint. These blueprints allow the 3D printers to “print” by building objects up layer-by-layer out of plastic, metal or other materials. This method of manufacturing allows for the elimination of older techniques such as injection molding. 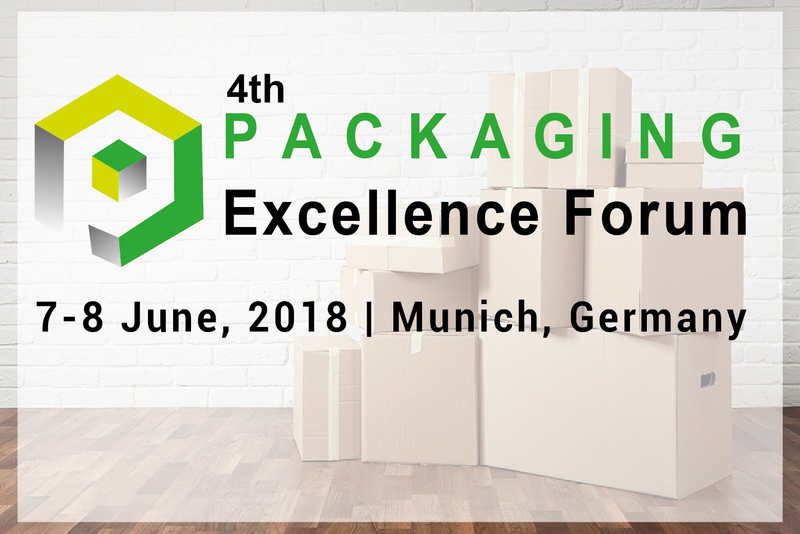 4th Packaging Excellence Forum (PEF 2018) The 4th Annual Conference on Packaging Innovations, Flexible Packaging, Plastic Packaging: Reuse or Recycle & Packaging as Branding Tool was held at NH Munchen Ost Conference Center, Munich, Germany from 7 to 8 June, 2018. 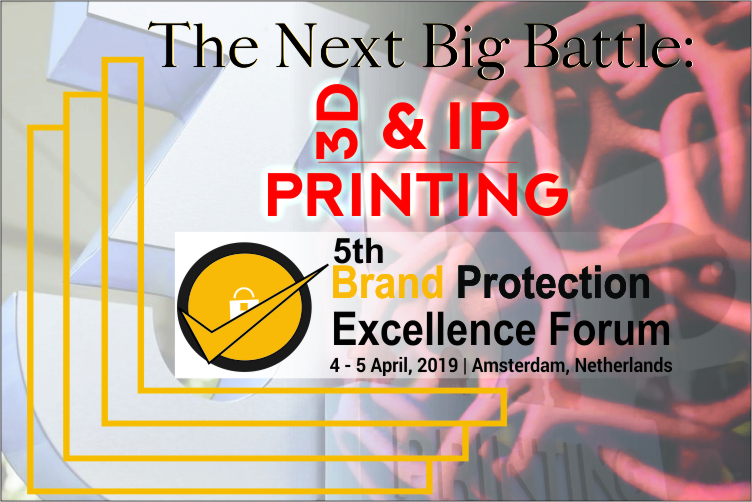 4thPEF 2018 was organized by the World’s Leading Conference Organizer “BrainLinx”, with all the collaborations Event & Media Partners. 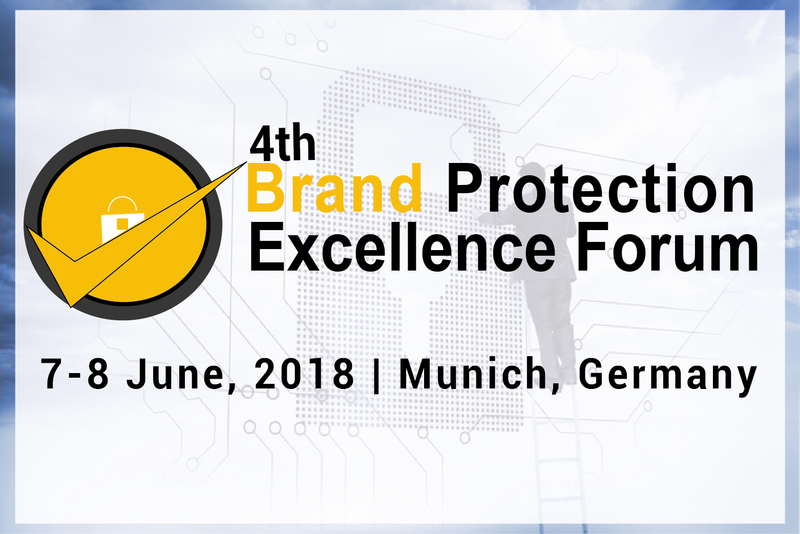 4th Brand Protection Excellence Forum (BPEF 2018) The 4th Annual Conference on Brand Security, Track & Trace, IP Protection & Cross- Border Brand Security, Anti-Countefieting was held at NH Munchen Ost Conference Center, Munich, Germany from 7 to 8 June, 2018. 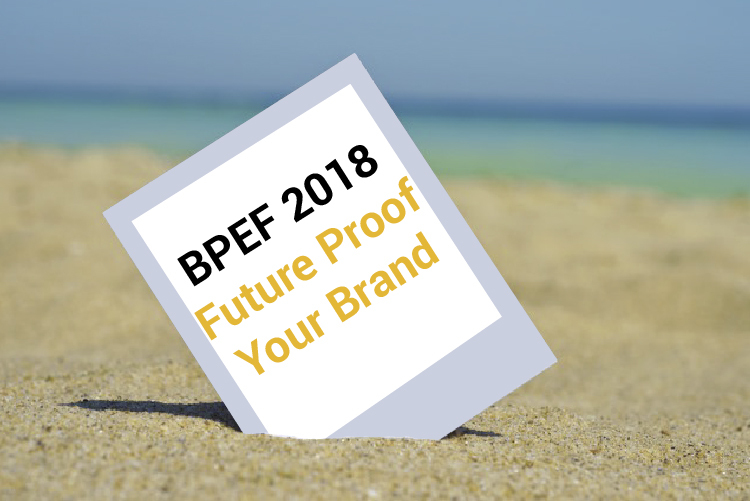 4th BPEF 2018 was organized by the World’s Leading Conference Organizer “BrainLinx”, with all the collaborations Event & Media Partners. 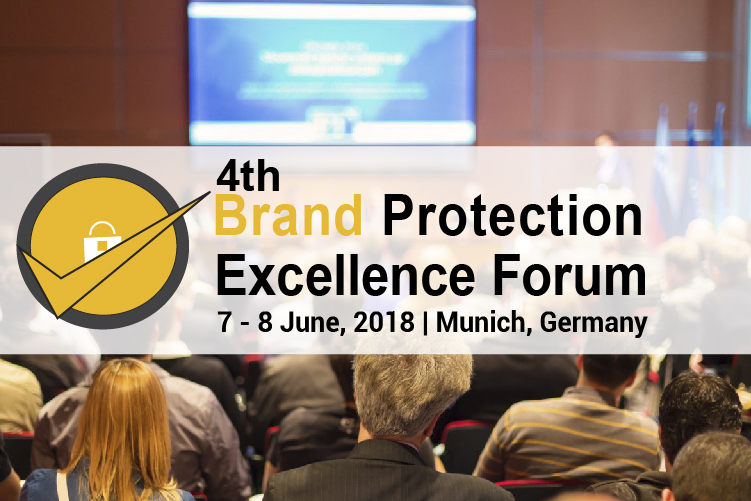 4th BPEF brings together researchers and practitioners from the allied areas of Brand Protection, Research & Development, Luxury Branding, Patent & Security and Intellectual Property, in order to promote global discussions of ideas that will influence and foster continued research in the field. Healthcare Organizations’ Recognition for Augmenting their Digital Needs, based on International Survey. 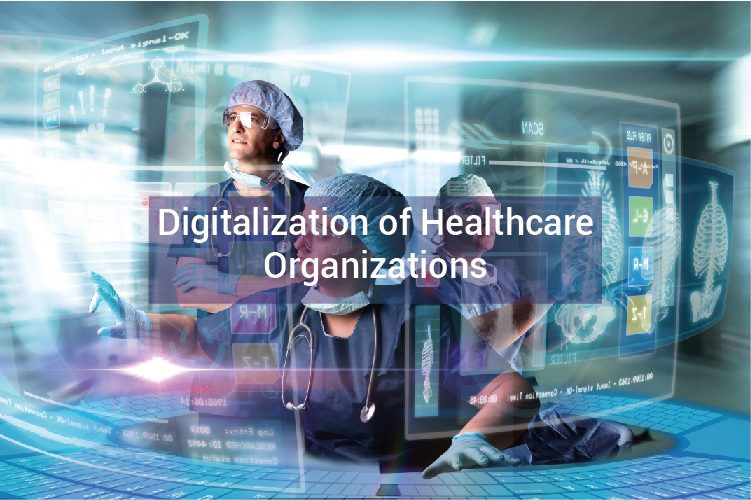 Digitalization in healthcare industries is based on the similar trend that has influenced the other non-healthcare organizations, in this regard. In the middle of the 20th century, the very first blow of digitalization occurred, transforming companies’ traditional systems like accounting, statistical information and numerical figures into digital trend. 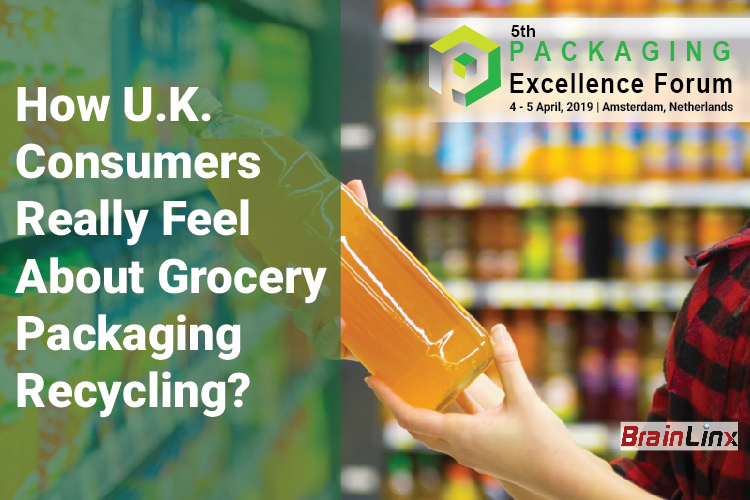 Consumer’s perception about how they discard and interact with packaging is changing with time. 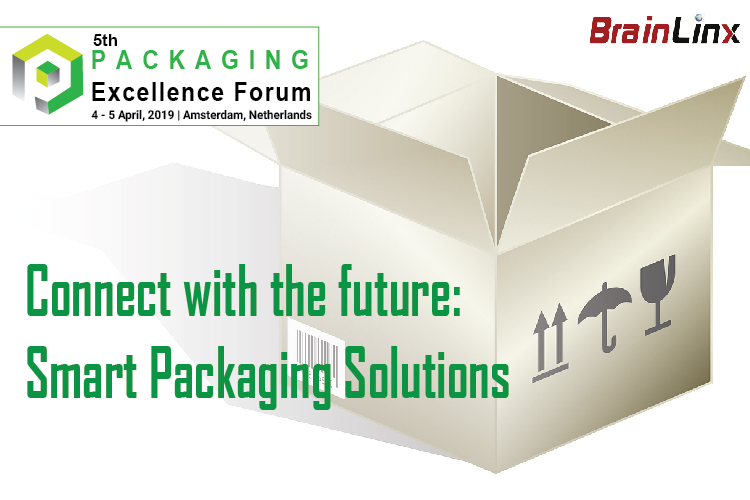 For someone who manufactures or markets the product needs to know that it is very essential for your product to have packing based on changing trends and meets the expectations of consumers as well. Special sand could be a new anticounterfeiting solution. 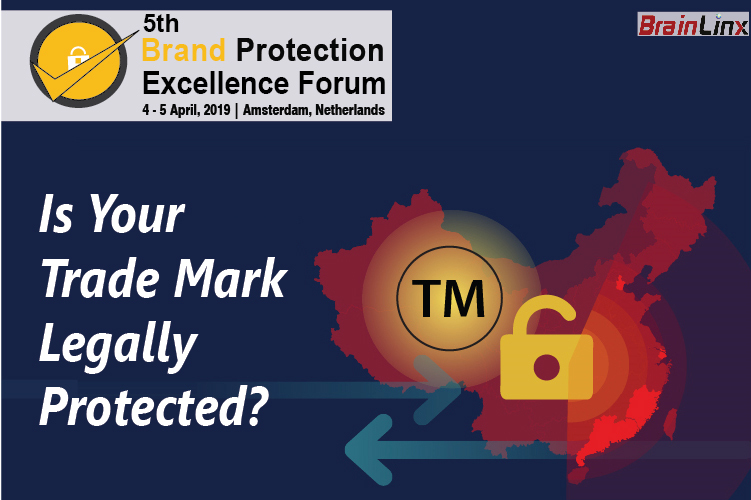 A variety of products could soon be marked using a new sand and chemical mix that is claimed to be “the world’s most secure marking system for combatting pirated goods”. 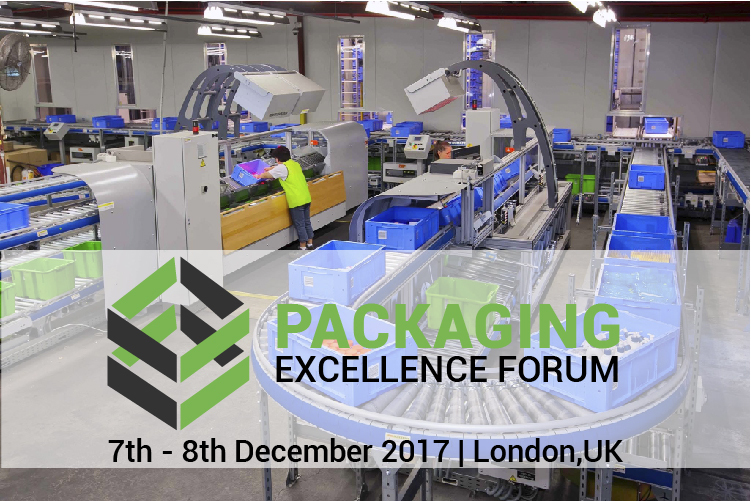 Brain Linx blazed distinguished chapter of Packaging Excellence Forum 2017 London, UK. 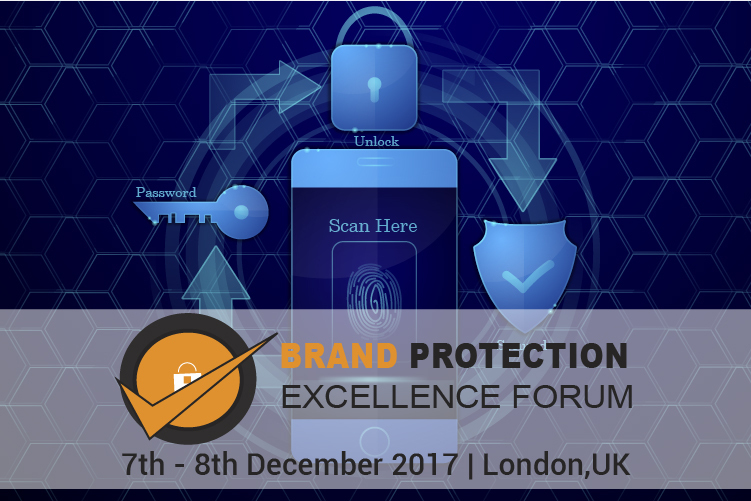 BrainLinx Marked Another Addition to its Hall of Success, Brand Protection Excellence Forum 2017 London, UK. If the event is being covered for a specific publication or topic-related article. In accepting an BLX press pass, the recipient agrees to abide by BLX’s Press Policy.